After a grueling 16 hour stream, Lex Veldhuis takes down the Sunday Warm-Up for $34,690. Lex Veldhuis had already been on stream for 6 hours when he registered into the Sunday Warm-Up. Always a man of the people, he wanted to give his audience a show. The Sunday Warm-Up is a bit like the Sunday Million’s little brother, until recently it had the same buy-in but its guarantee is $200,000, a fraction of the Million’s but still pretty great. 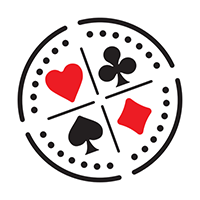 The fraction of a guarantee attracts a fraction of the players, however, with 1,069 entrants driving the prize pool to $213,800, only 179 of which would see a return on investment. After hours of streaming, Lex had survived long enough to be in the top 30 with an average stack. Despite staying alive for so long, he needed a boost if he wanted to take this down, and that’s when he flopped a set. From then on he was either chip leader or in the top three, managing to bully his way into winning bigger and bigger pots, bursting the final table bubble himself. What followed was described by Lex Veldhuis as the “most insane final table [he’s] ever been on”, as the short stacks kept doubling up and becoming a bigger threat than expected, he would try to bully them out of pots. And just like that, Lex was the last one standing. A crazy end to a crazy final table.